Yogi Bear DVD and Blu-ray release date was set for March 22, 2011. Yogi Bear is based on a classic children's cartoon. Facing a steady decline in attendance, Jellystone Park, home of Yogi Bear and his best friend Boo-Boo, is about to be shut down by the local town's mayor, despite having been open for nearly 100 years. 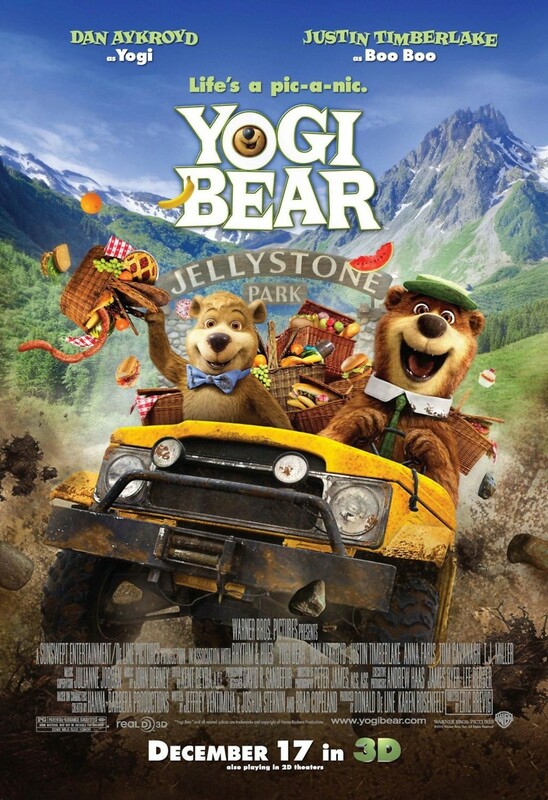 Yogi and Boo-Boo must work together with their natural enemy, park ranger Smith, in order to come up with a plan that will keep the park open, and make sure that they continue to have a home.